Well it’s time for new years resolutions. I wish I could say that I’m going to post all healthy recipes this coming year, and that it’s going to make you super skinny. I have learned from too many new years resolutions that I like eating twizzlers, baking cookies, and scooping ice cream far too much to swear it off for the year. I will however try to just generally post a larger variety of foods on this blog. If you have any requests, please let me know and I will do my best to post what you’d like to make! This particular recipe comes to you from our New Years Eve celebration. It got some rave reviews from the whole family. It also makes great leftovers (in fact this picture was taken 3 days later). 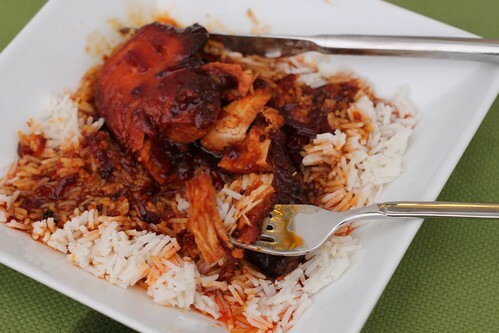 While it’s not quite as easy as the French Apricot Chicken, it is another one of the crock-pot meals that you just add the ingredients and walk away. As indicated below it serves 6-8 people, but for New Years I doubled the recipe and added an hour to the cooking time (total of 9 hours) and it turned out great. What I really liked about this recipe is that it’s not at all dry like some shredded pork can be. 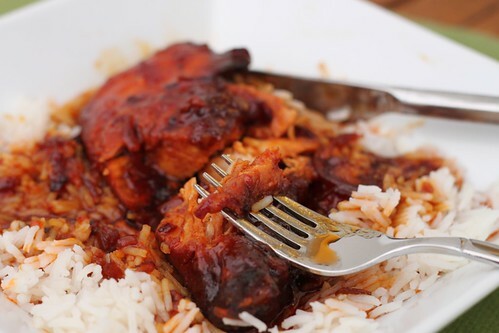 It is saucy, and I’m pretty sure just the marinade over rice would taste good on it’s own. It also goes great served with a big salad with mandarin oranges and sesame ginger dressing. So if your sick of eating cookies (which I EVEN AM! 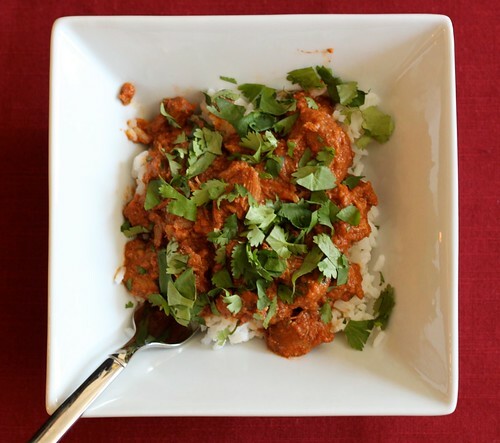 ), this is a hearty, delicious and protein filled alternative for ringing in the New Year. *Ask your butcher to cut off as much fat as possible to save you some time. 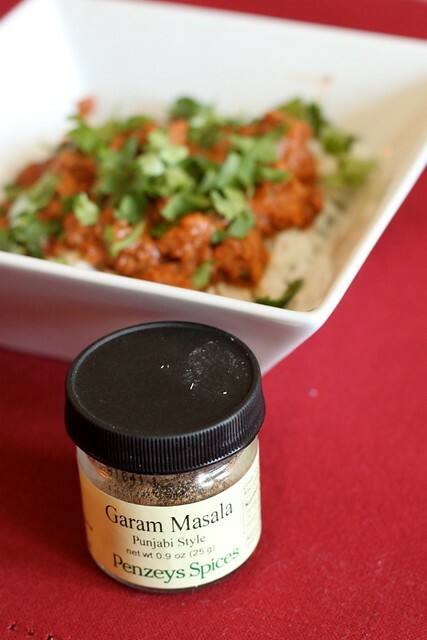 Combine first 8 ingredients (soy sauce through five spice powder) in a bowl and whisk. Place pork roast in a plastic bag and cover with marinade. Refrigerate for 2 hours flipping occasionally. *I left it at room temperature for 45 minutes to save time, and because my pork roast was large and very cold. Place contents of bag in a crock pot and add 1/2 cup fat free chicken broth. Cook on low for 8 hours. 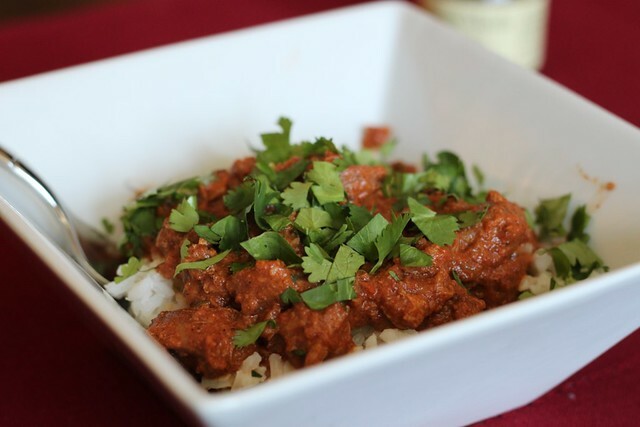 Shred pork and serve with remaining sauce in crockpot. 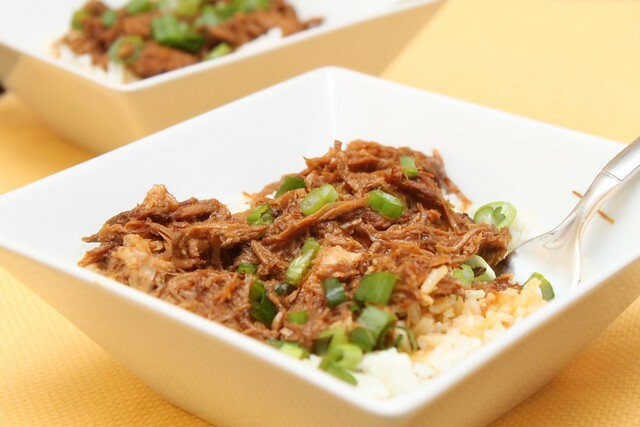 Serve shredded pork and sauce over rice.